Hiking | Hike. Blog. Love. 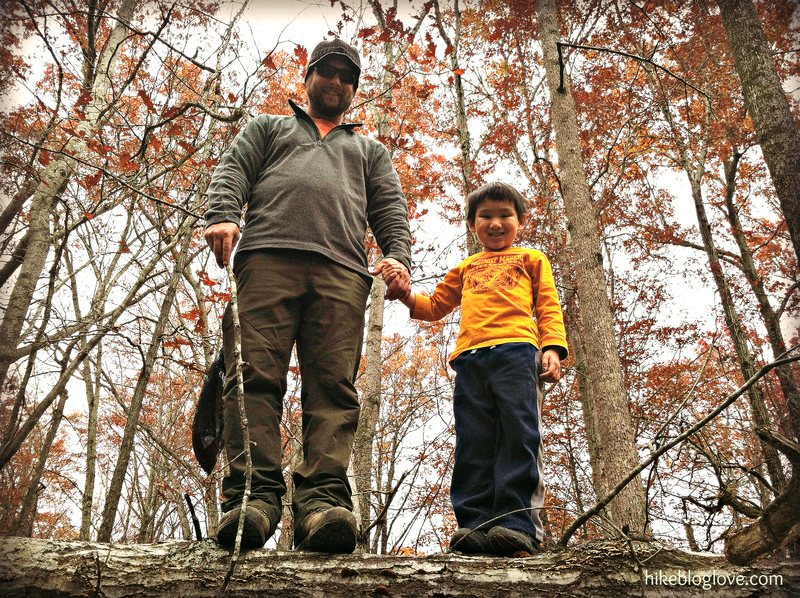 As 2012 is winding down, I feel a little sad that my family and I have not been able to spend as much time outdoors as we normally do. With three rounds of family strep (yes, 3!!) and other medical issues, getting outdoors has been hard for us over the last couple of months. 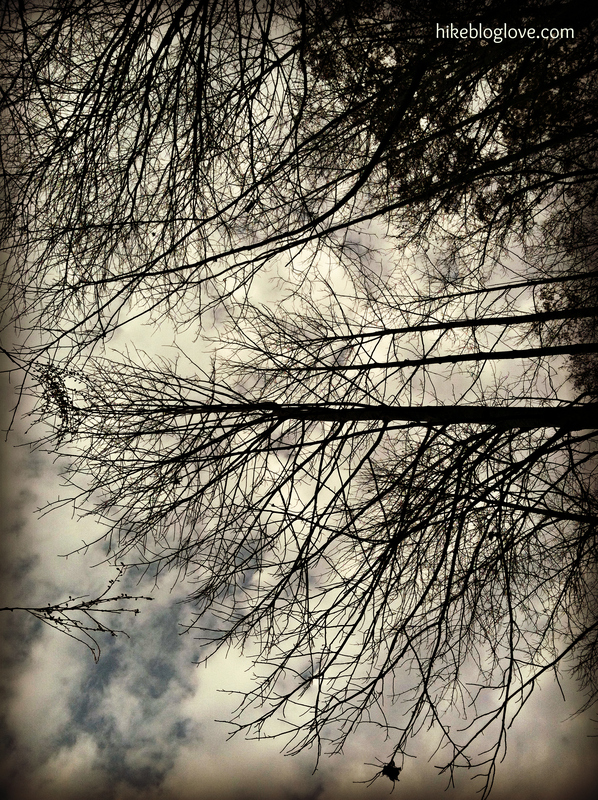 So I’m really looking forward to getting back in the groove of outdoor livin’ in 2013. To cheer myself up a bit, I decided to take a look back and reminisce on our favorite outdoor moments of 2012. So what was your favorite moment of 2012? Any adventures you want to share before the new year falls upon us?! Congratulations to commenter number 4, Mel, who is the winner of the $25 REI gift card!! Thanks everyone for playing along. Happy Holidays! There are few places I’d rather be than in the woods on a quiet, muddy trail. Whether I’m hiking or taking a run, it’s the one place where I can clear my mind while feeding my body and soul. So if you are like me (or you’ve got a girl like me in your life) this post is for you. I thought I’d share some of my favorite trail gear with all of you lovely readers. 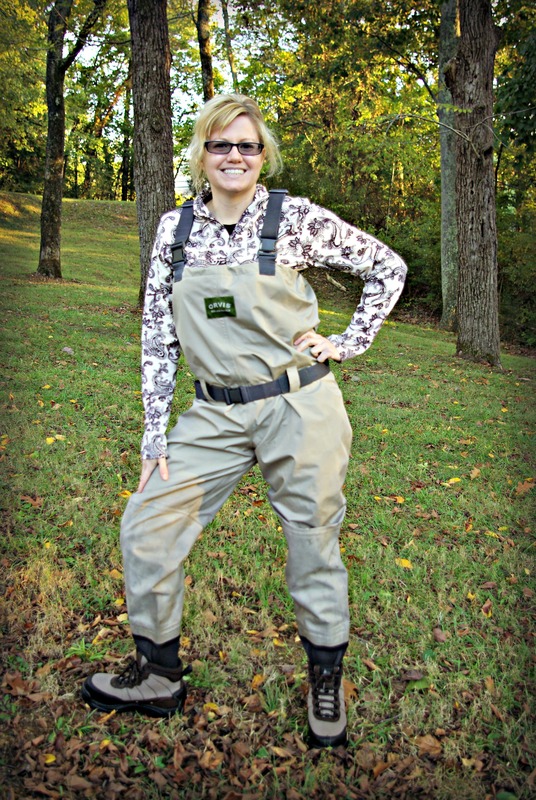 With the holiday season upon us, maybe you’ll be inspired with some gift ideas for the outdoorsy girl in your life. 1. At the top we have the quick dry Toaster Top and Liberty Pants from Stonewear Designs. Warning: these pieces of clothing are so awesome, functional and comfortable you will never want to take them off! 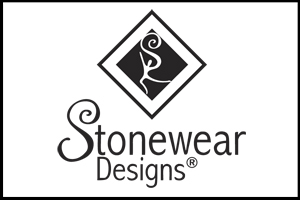 Stonewear Designs is a Colorado-based company comprised of a group of determined women who lead busy lives balancing time between family, friends, work, and play. They developed clothes that make women feel beautiful while performing under strenuous demands. They strive to fit and flatter every type of body with beautiful, durable clothing that will last for years. All Stonewear clothing is Made in the U.S.A.
2. 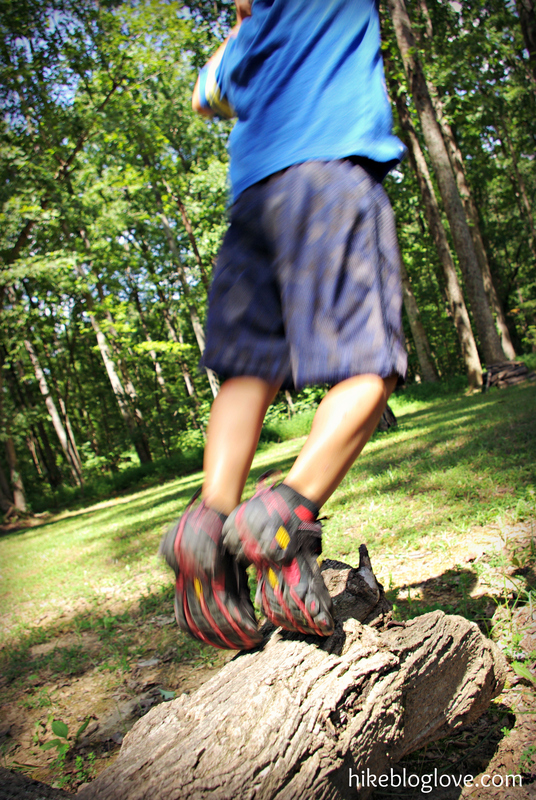 Gypsum Mid Hiking Boots by KEEN. The only brand of boots I wear on the trail! 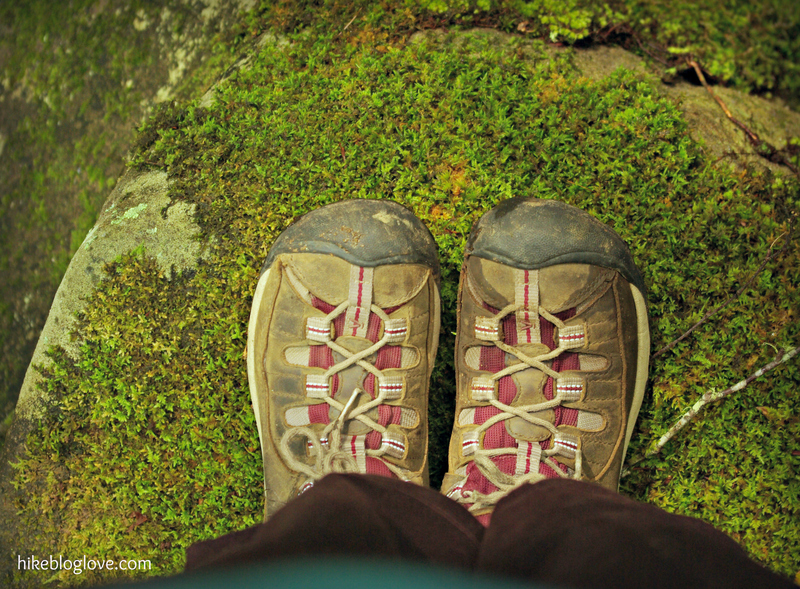 For years, KEEN has been keeping my feet happy and safe on the trail. ‘Nuff said. 3. SpeedCross 3 Trail Running shoes by Salomon. I am in love with these awesome, lightweight but aggressive trail shoes that are perfect for muddy, mountainous terrain. I use these all the time and they are by far my faves! 4. I don’t own one of these battery-operated mobile power devices yet, but I really want to try one! They seem like a perfect gadget to have handy on a long hike or backpacking trip. 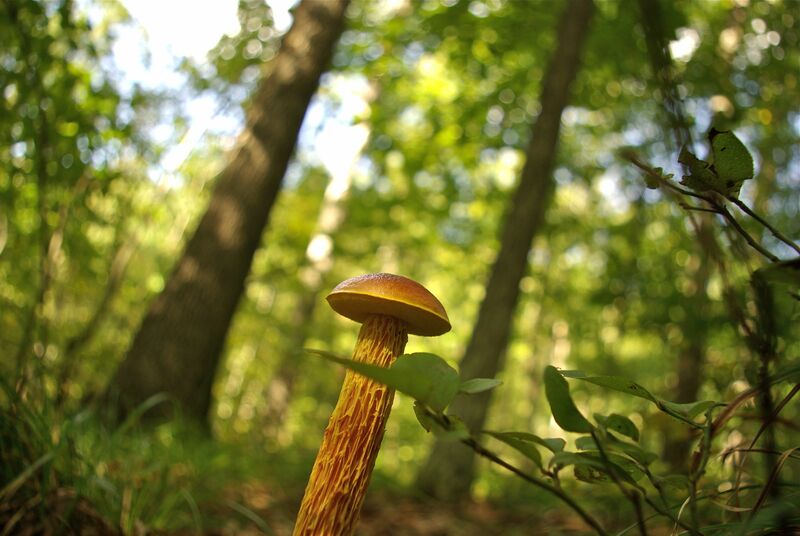 Especially if you are like me and snap photos on the trail with your iphone. 1. Leave a comment telling me your favorite outdoor activity and whether or not you’d be happy to receive any of these gifts above. 3. 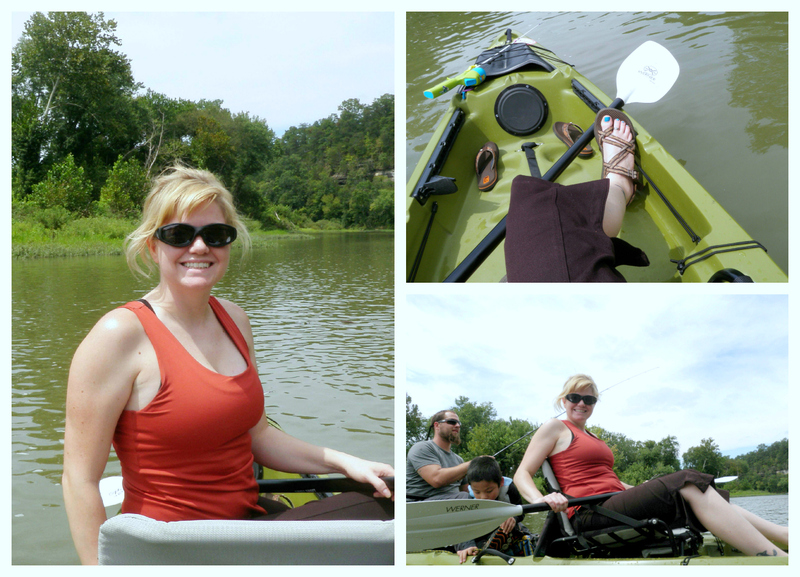 For one more entry, tweet about the giveaway, including a link to this post and make sure to mention me, @hikemama. Then come back here and leave a comment telling me you tweeted. That’s it! Good luck and happy trails. One lucky reader will be randomly chosen on Saturday, December 15.
psst–check out my other open giveaway here! 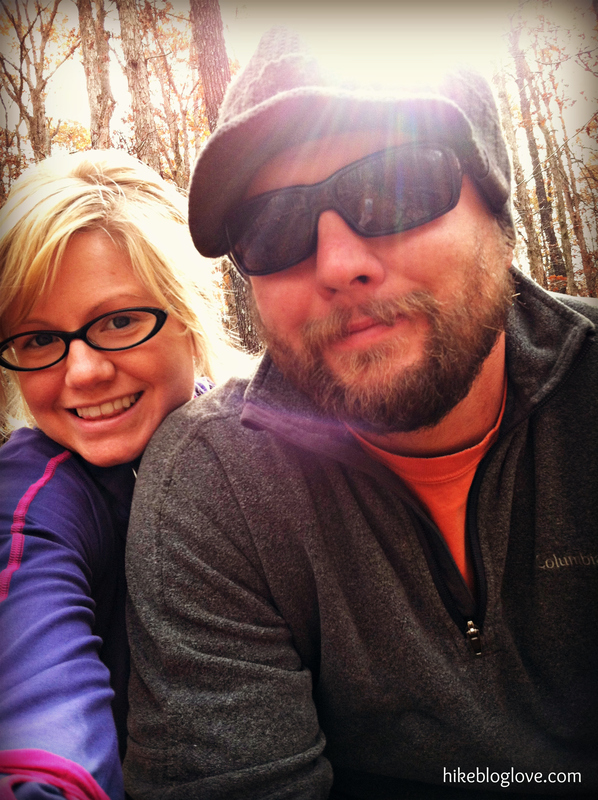 Yesterday we took a leisurely hike through a nearby state park. 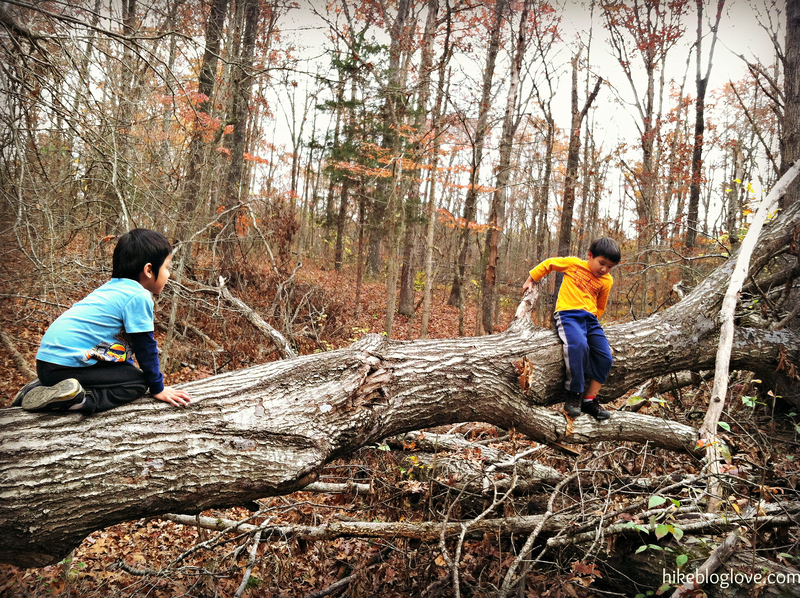 Although the park is quiet and full of kid-friendly trails, it’s hardly the landscape that epic adventures are made of. But it ended up being one of the best hikes we’ve ever taken together. We had no agenda and no timeline. We just wanted to share some peaceful time together in the woods. 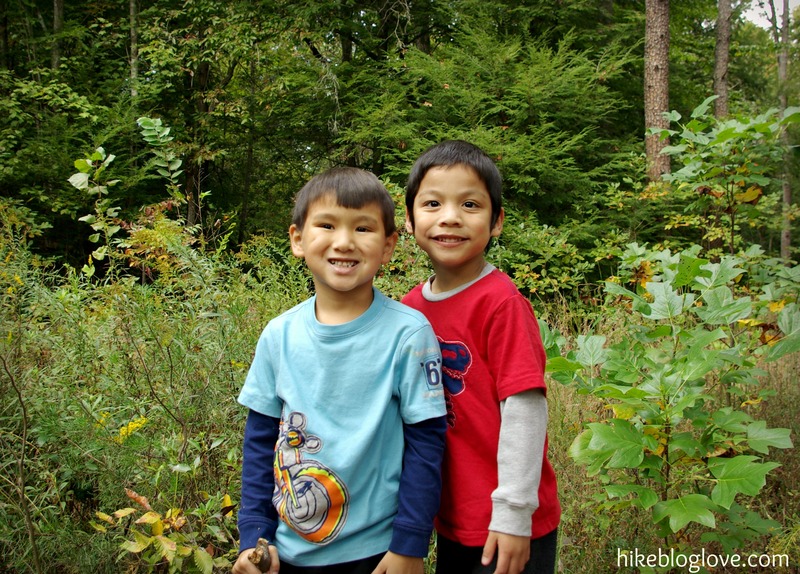 To ensure that everyone would have a fun, fuss-free hike, we assigned each child a “job.” As our kids are growing older, I find myself continually brainstorming new ways to make sure our hikes stay fun and upbeat. 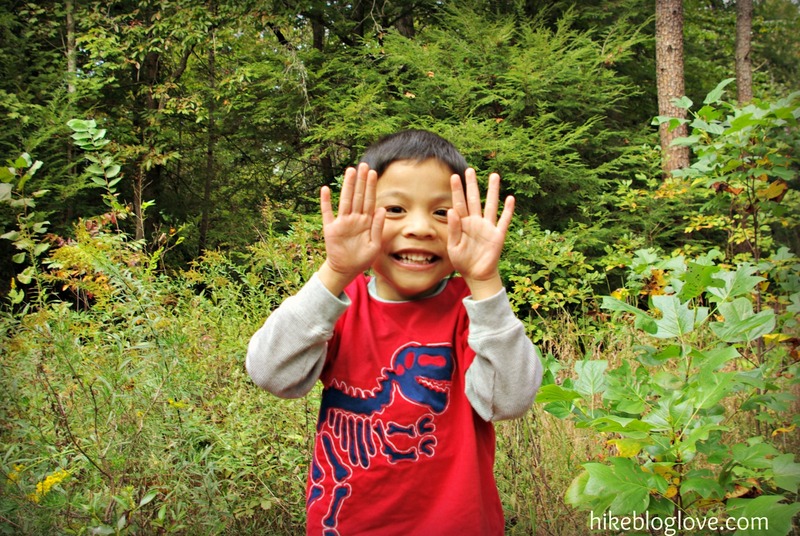 Read on to see how we did it on our last hike! 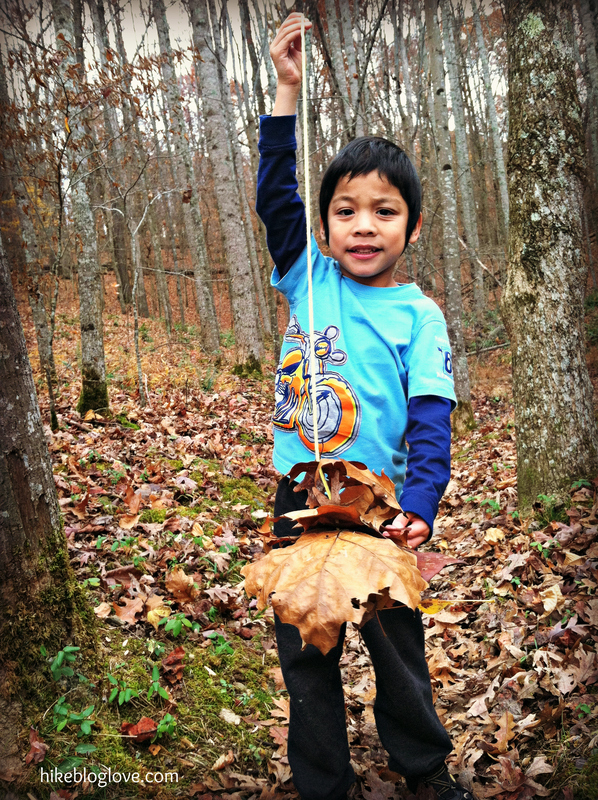 Little Man took on the role of our fearless trail leader (his most favorite job of all) and Big Brother was the keeper of the leaves (again, a job he loves.) 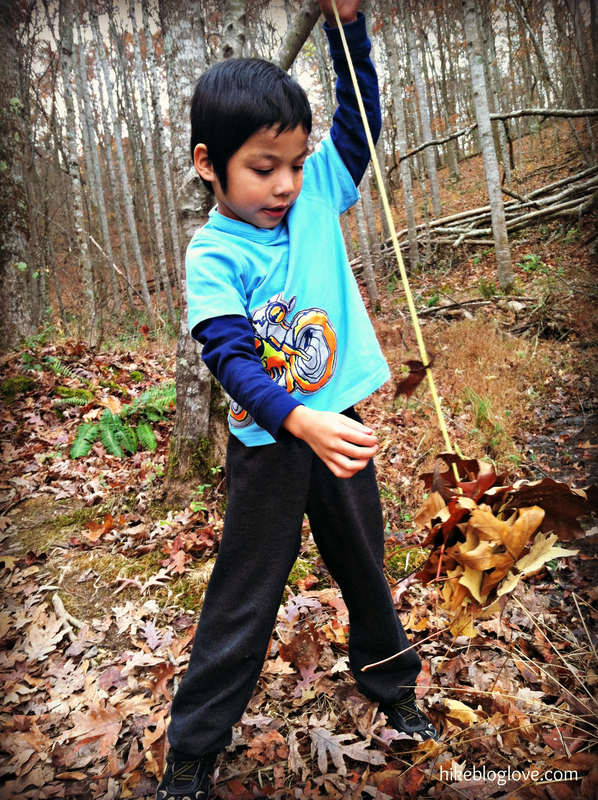 Little Man led the way and Big Brother collected leaves and strung them on a shoestring. One of his favorite ways to play is to put beads on strings, so he was estactic! 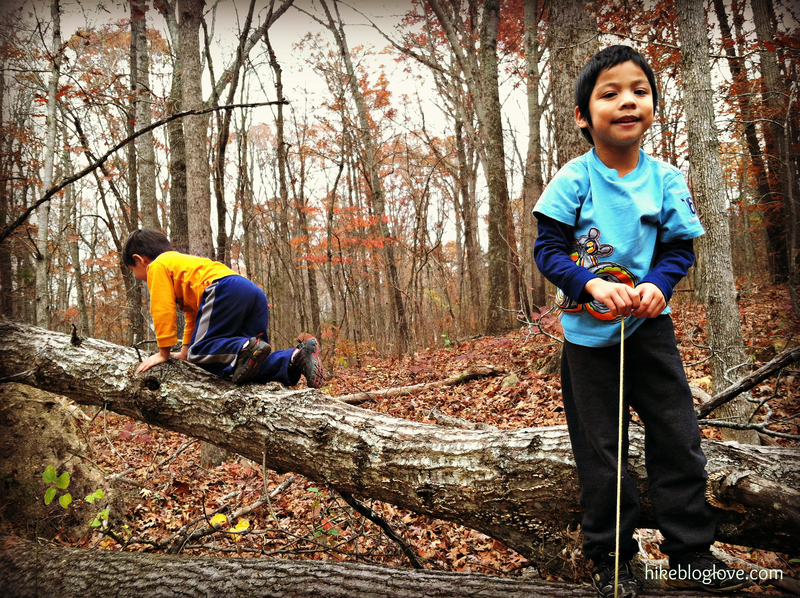 The boys had a blast and enjoyed every single moment on the trail. 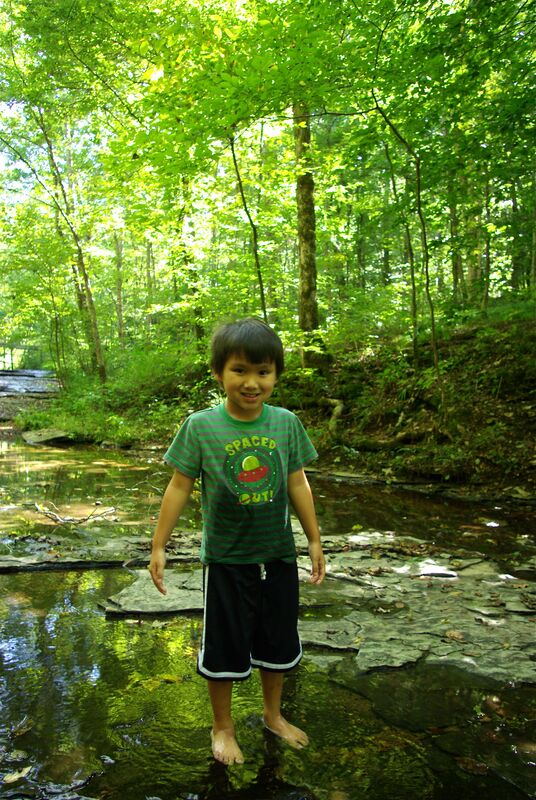 We ended with a picnic and a rock-jumping competition in the creek. 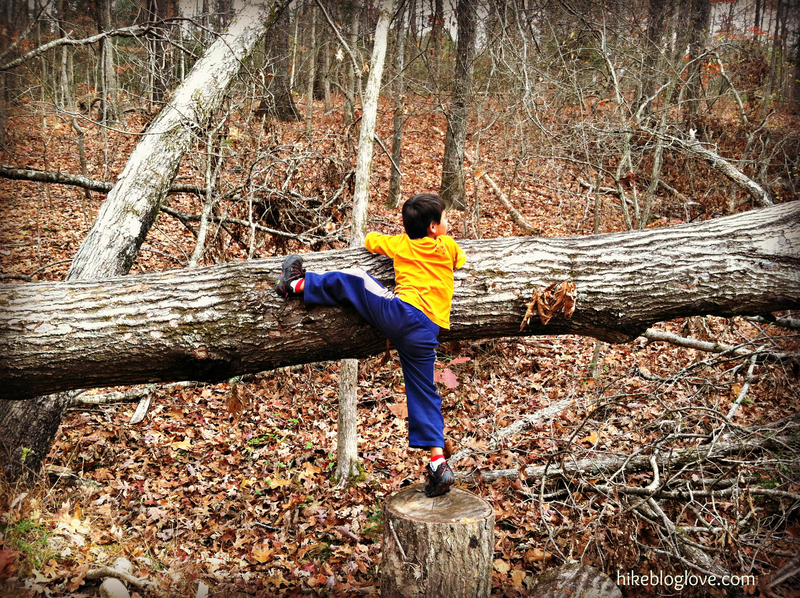 Fallen trees make the best playground, don’t you agree? Happy kiddos make for a happy mommy and daddy. 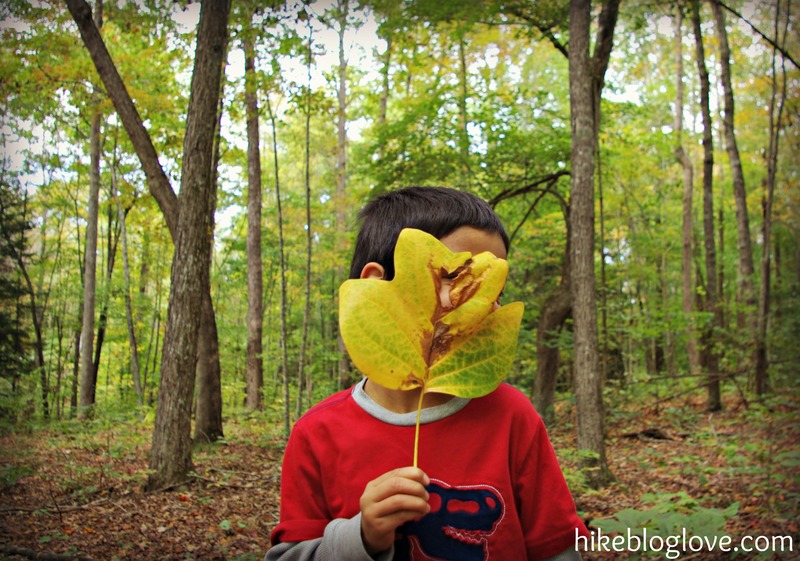 We’ll count this as a successful and fun fall hike! So how are you going to vote today? 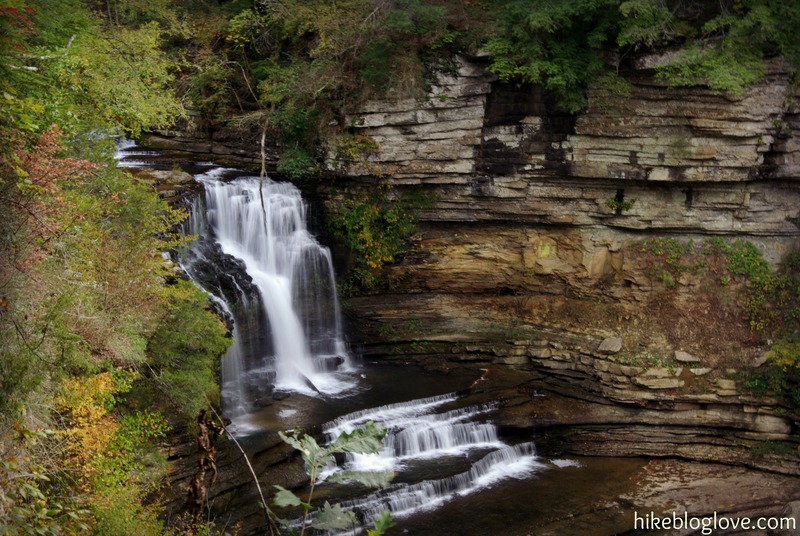 Go here to cast your vote for where you’d like your next outdoor destination to be! It’s such a hard choice for me….can’t I do both?! I opened my email last night to find that my blog had been nominated for the Top 25 Health and Wellness Moms on Circle of Moms. 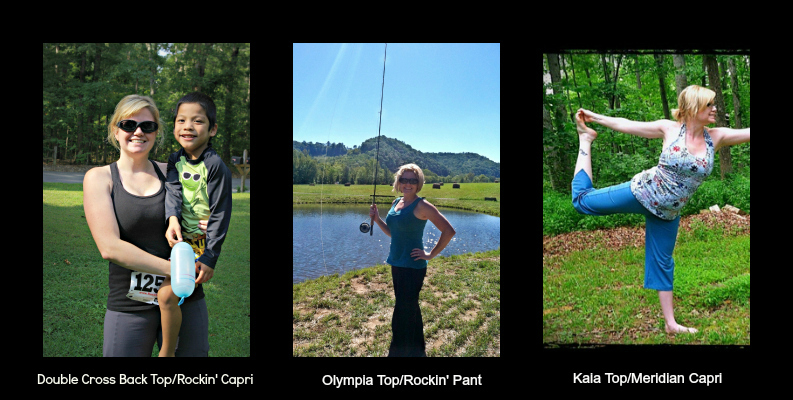 I was stoked when I became a Top 25 Outdoorsy Mom awhile back, so I never thought I’d be nominated for anything else. Whoever did think of nominating me, thank you very much! I’m honored that someone would take the time to think of me and this blog. I’m trying hard to take charge of my health and wellness, as well as the health and wellness of my family. 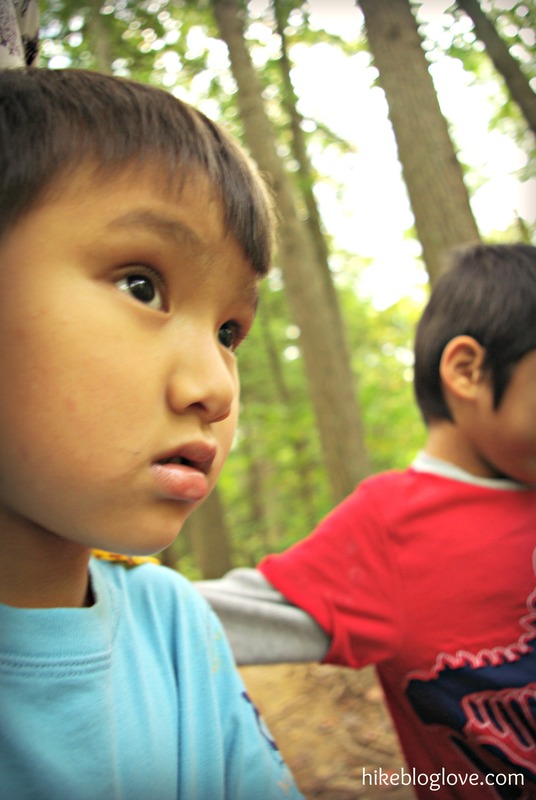 If you are already a regular reader you will see that we believe that nature not only heals the soul, but can play a powerful role in providing positive sensory input and problem solving skills for my child with Autism. I can safely say that without so much time outdoors connecting with nature, we never would have seen such progress in Big Brother. I hope to use this blog to inspire others to get out there and live a life of adventure….for your health and for your happiness! And for myself, I have been working hard to train for my upcoming Half Marathon. In fact, tomorrow morning I’m running a 7 mile trail race to get warmed up for the big event 🙂 Since I started my training a couple of months ago, I’ve lost over 12 pounds and have dropped my percentage of body fat by several points. I am feeling more energized and happier already! I am so excited about this new journey I’m on and I am happy to be sharing it with all of you. If you feel like voting, you can click on the image below to do so. I’m just excited that people find this blog as a place of encouragement and inspiration. Thank you all! I’ll let you know how my first ever trail race goes tomorrow, wish me luck, I think I’m going to need it! 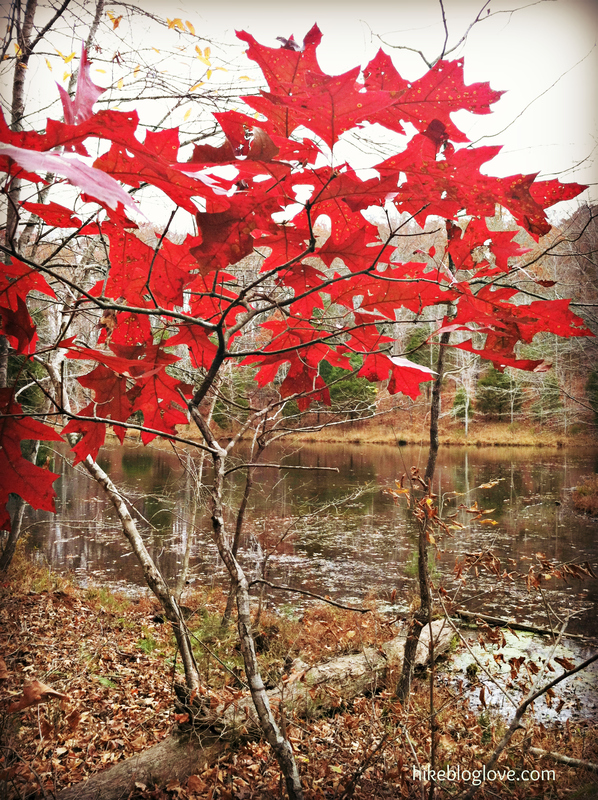 Since today the temperatures dipped down into the 50’s/60’s (hello Fall….finally!) we decided to take a family hike and explore this new park. It’s lovely and we can’t wait to go back and spend even more time hiking the area. We didn’t spend the whole day at the park as we had some other nearby outdoor areas on our agenda for the day as well. Little Man leading the way. Big Brother playing “I see you!” which is his version of peek-a-boo. Big Brother was being awfully silly today, which I can’t complain about since this past week was a really rough one for him in every way. I never get tired of this site! Little Man mesmerized by the falls. We had such a fun little hike. After visiting the falls, we headed a few miles down the road to the Caney Fork River where I tried out some of my fly fishing skills. No fish tales to speak of, but at least I got out and tried! Maybe I’ll have better luck next time. Empty handed, but happy nonetheless! How did you spend the weekend? Does it feel like fall where you are?! Giveaway Closed. 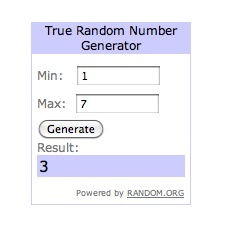 Congratulations to commenter number 3 for winning the headband! I’m not a world-renowned athlete and I’ve never led an exhilarating expedition to worlds unknown. My ab muscles are strong but are by no means toned enough to resemble a six-pack. I’m training for a half-marathon–words that I never imagined would fall from my lips. I don’t look like a supermodel and my curves sometimes annoy me. But I’m proud of my body and all that it has allowed me to accomplish. 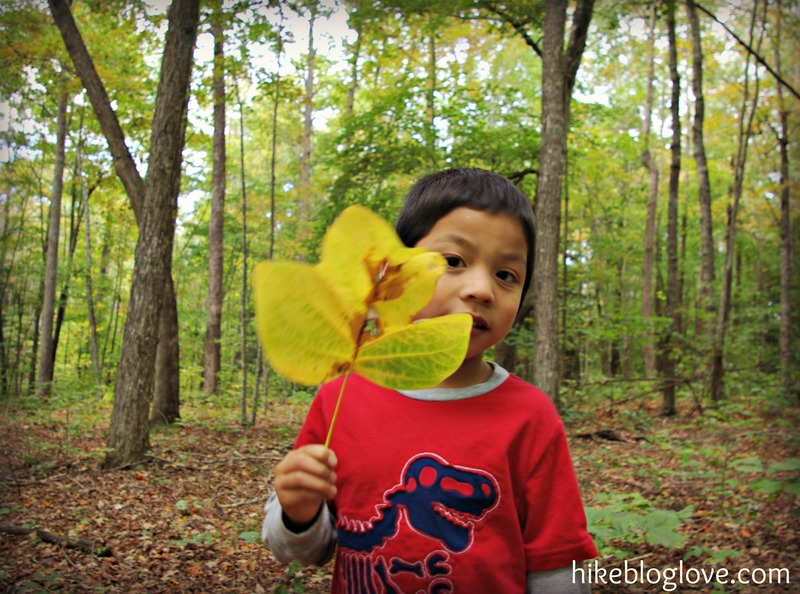 I believe fiercely that adventure and outdoor exploration are for all. I strive to stay active, push my limits, try new things and inspire others to do the same. Staying active and fit are high on my priority list. 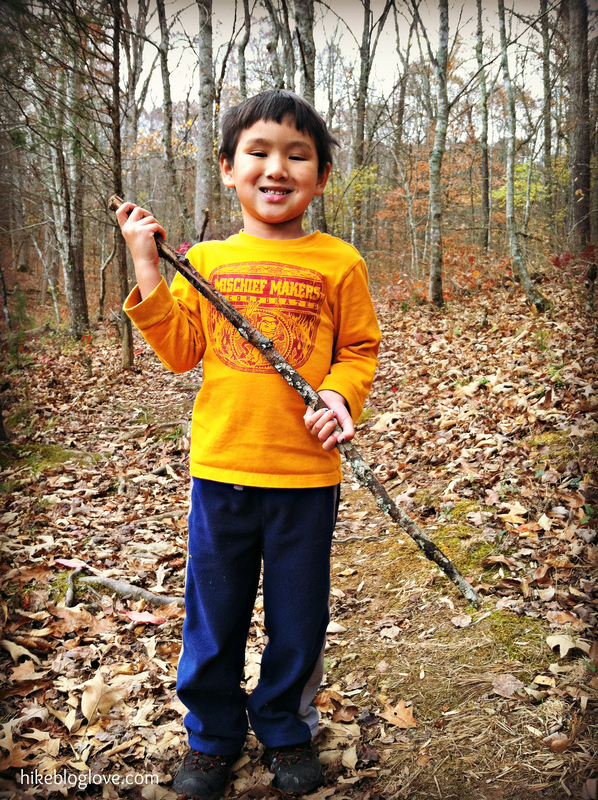 I use all of my resources to not only help my son with special needs thrive outdoors, but to show others that adventure and the natural world are within everyone’s grasp. I believe in the power of nature to sooth the soul and nourish the body and mind. 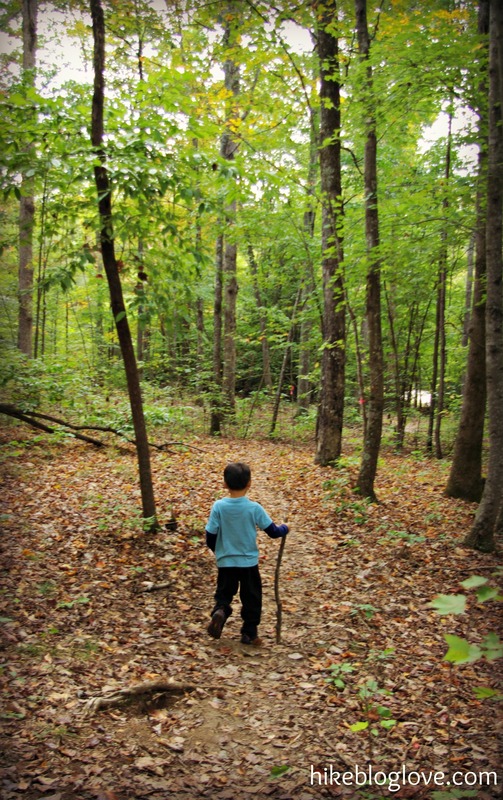 I believe that everyone can benefit from being active outdoors. And I don’t think that you must have the perfect body to do so. That’s why I was so delighted to become a member of the Stonewear Designs Grassroots Team. Stonewear clothing is designed to fit every type of body. 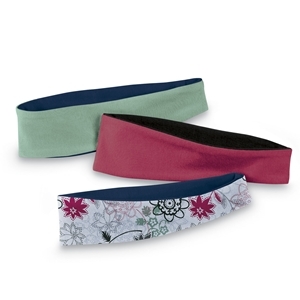 They empower women of all shapes and sizes to be active while stylishly supported. So today, I thought I would share with you about some of my favorite Stonewear outfits that I was provided to test and use in my daily activities. And I’ll be honest….I pretty much live in my Stonewear clothing now. It makes me feel beautiful, strong and comfortable all day long. Their clothing is of very high quality (so it will last without showing wear) and is specifically designed to be tough enough to keep up with an active lifestyle. The Lyra Top is made of a very breathable, moisture-wicking fabric that keeps you cool and dry while hiking, running, kayaking, climbing or just wrangling kids. This is my go to top for all of my activities. Not only does it keep me cool and dry down here in the hot and humid southeast, but the support is phenomenal. The Lyra Top has a built-in bra that keeps the girls nicely in place. I sometimes pair this top with Stonewear’s cross back sports bra to give myself the maximum amount of support possible because I really like to keep everything in place 🙂 But the top alone provides great support. The fit is extremely flattering as well. The fabric skims the body and flatters without being clingy (which is great if you are like me and your midsection is a little soft and round!) 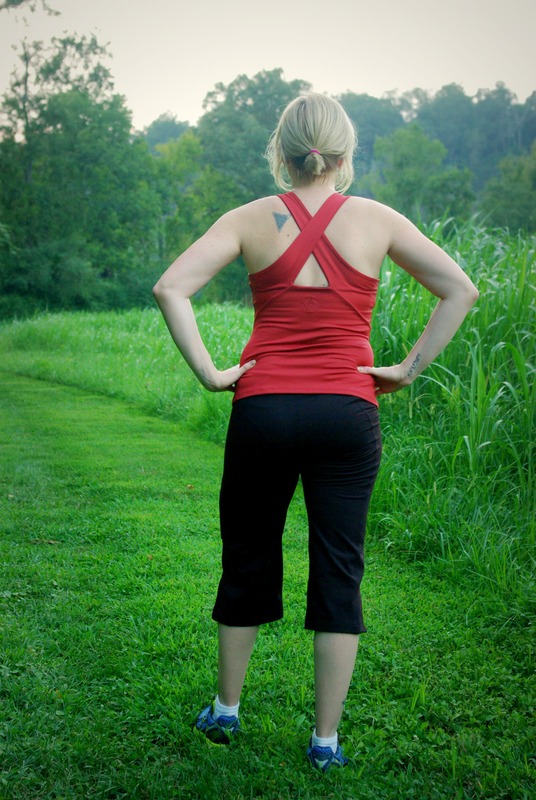 If you are an active woman who is a bit heavy on top, then the Lyra Top is definitely for you. The Rockin’ Capris (also referred to by me as the most awesome pair of capris to ever grace my legs) are the best thing that has ever happened to me from a clothing standpoint. These flattering, moisture-wicking capris feel great, look great and hold up to creek crossings, muddy hikes, kayaking trips and hot trail runs. They also have a side zip pocket that is large enough to store a smart phone or keys. I practically live in these capris (as well as the pant version.) Wash after wash these babies still look like new. 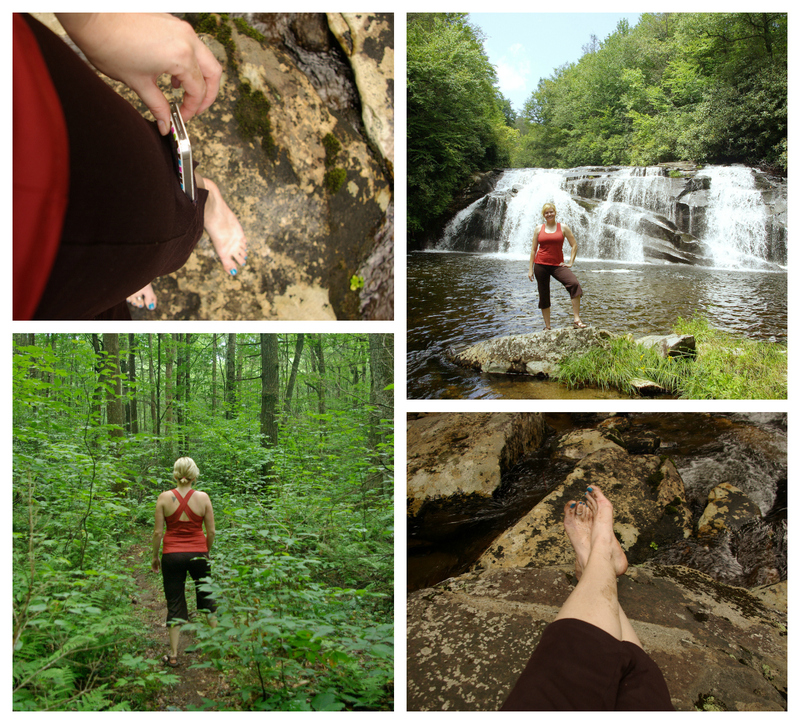 The Rockin’ Capris are the most rugged and beautifully constructed capris/pants I’ve ever owned. They are certainly worth every penny. I cannot stress enough how awesome these are!! I will never hike in anything else again….seriously….they are that good. Keep a lookout for an upcoming review of my other faves–the Olympia Top, Rockin’ Pants, Double Cross Back Top and Meridian Capris…. 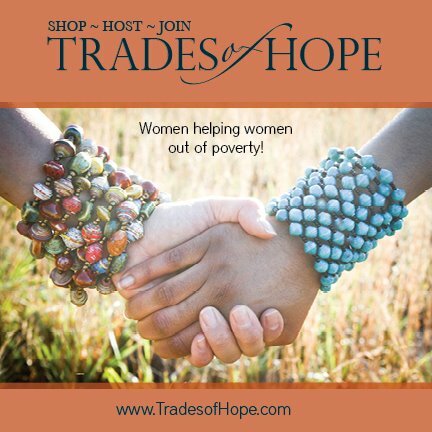 Want to see what other real women have to say about Stonewear Designs? Check out this fabulous post that shows women of all shapes and sizes sharing their favorite pieces of clothing! 1. Visit the Stonewear Designs website and take a look around, then come back and leave a comment below telling me what piece of clothing you think would be great to try and why. 2. For an extra, additional entry, you can like Stonewear Designs on Facebook. Then come back here and leave a separate comment telling me you did so. 3. For one more extra entry, you can like Hike.Blog.Love on Facebook (or tell me you already are a fan) and come back here and leave another comment. That’s it! Good luck, ladies (and men who would like to win some swag for their lady.) The giveaway closes on Friday October 5th. The winner will recieve a headband in a random color. Some of the Stonewear clothing shown in this post was provided to me free of charge as a member of the Grassroots Team. Some clothing was purchased with my own money because I love the clothing so darn much. All opinions expressed are strictly my own. Yesterday I spent the day doing something outside of my comfort zone. I attended an all-day fly fishing school along the banks of the Caney Fork River. Now don’t get me wrong, I adore doing anything in nature. But a fisher(wo)man I am not. And fly fishing? Well, that takes a lot of skill that I certainly do not possess. But I wanted to learn this elusive art form that I’ve seen my husband master in the last several years. I guess my motivation stems from a desire to be able to enjoy a deeper connection to the mountain streams and wildlife that I spend so much time around. I have no intention of catching fish to consume, but rather I long to use catch and release in an attempt to experience this world I cannot reach by foot. After all, the hubby stops to fly fish on most of our hikes and kayaking trips, so I thought it would be great to share this with him. So, I awoke bright and early on Saturday morning to learn how to cast and all the other skills that go along with that. I attended a class where I knew absolutely next to nothing. Turns out I’m not too shabby at this whole fly fishing thing. I had a blast and can’t wait to try out my new skills. 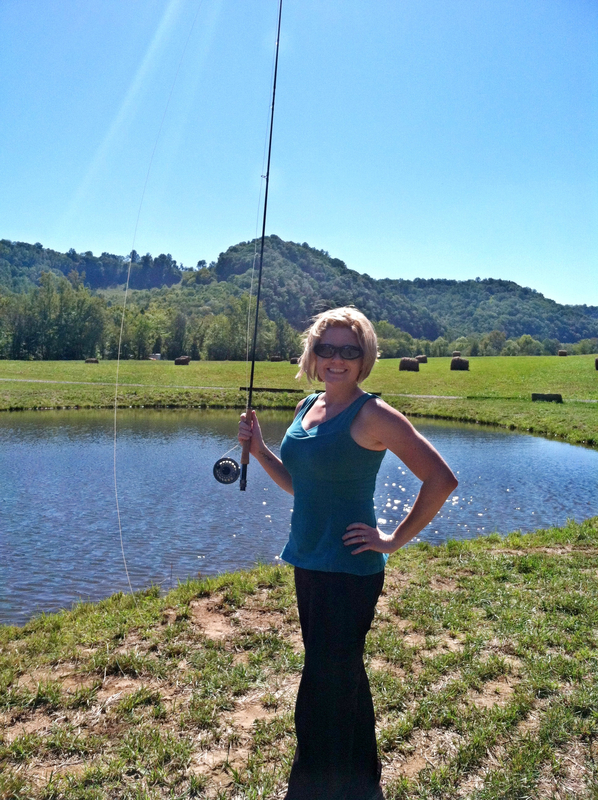 I may even be able to teach my expert fly fishing hubby a thing or two….someday. Have you done anything lately that has put you out of your comfort zone? Do you try to push yourself out of your comfort zone on a regular basis? Do tell! 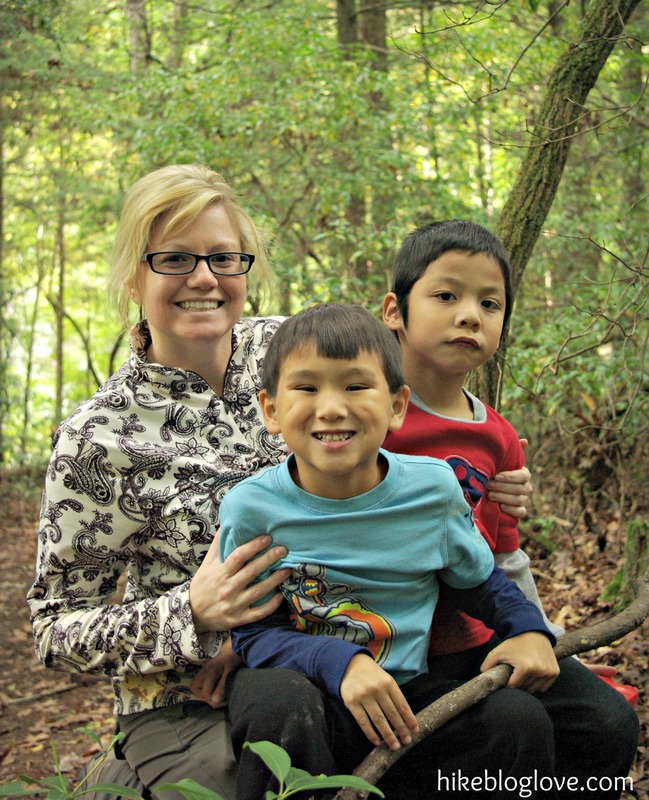 A couple of weekends ago, our family hiking group visited a lovely nature park filled with several kid-friendly hiking trails. Since this park was new to me, I wasn’t quite sure what to expect, but had heard good things about it. Luckily we were not disappointed! 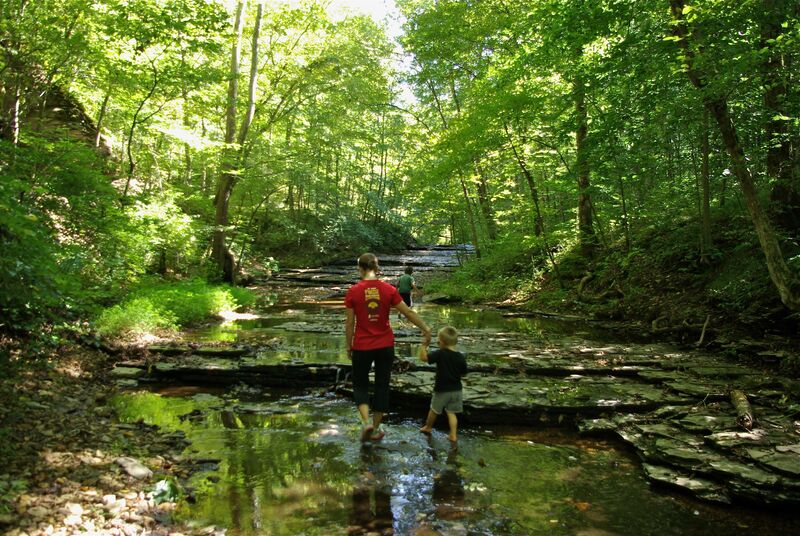 After a short hike, we came upon a spectacular shallow creek that ran against a bluff line in the woods. 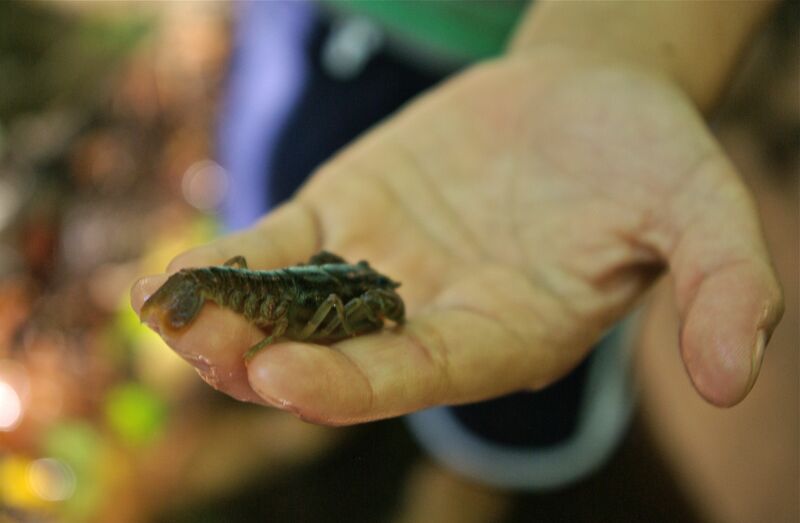 The creek was teaming with small fish, crawfish, salamanders and even snakes. 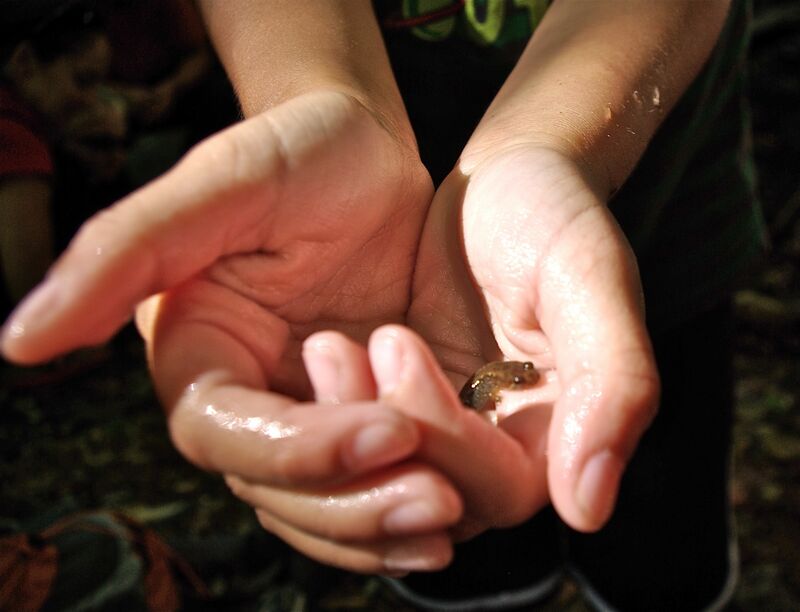 It was so much fun to get a little wet and muddy while exploring such a diverse habitat. 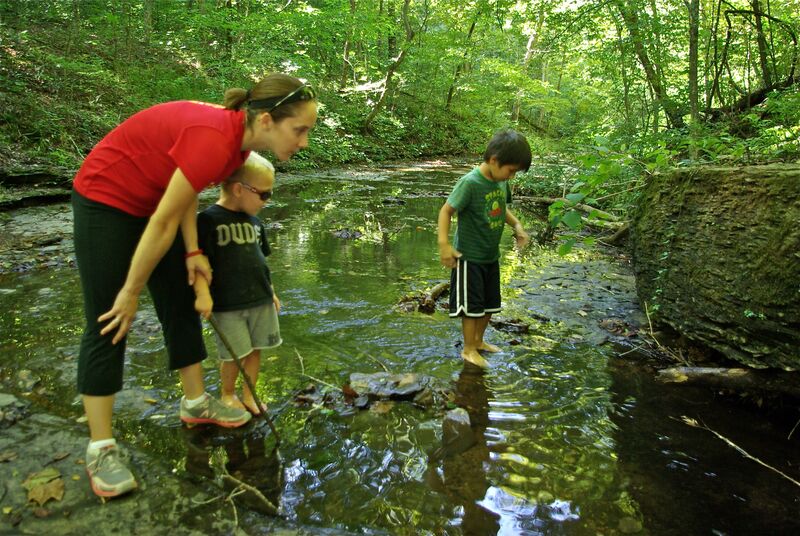 We ended up staying and playing in the creek much of the time, letting the little hands explore and discover to their hearts content. 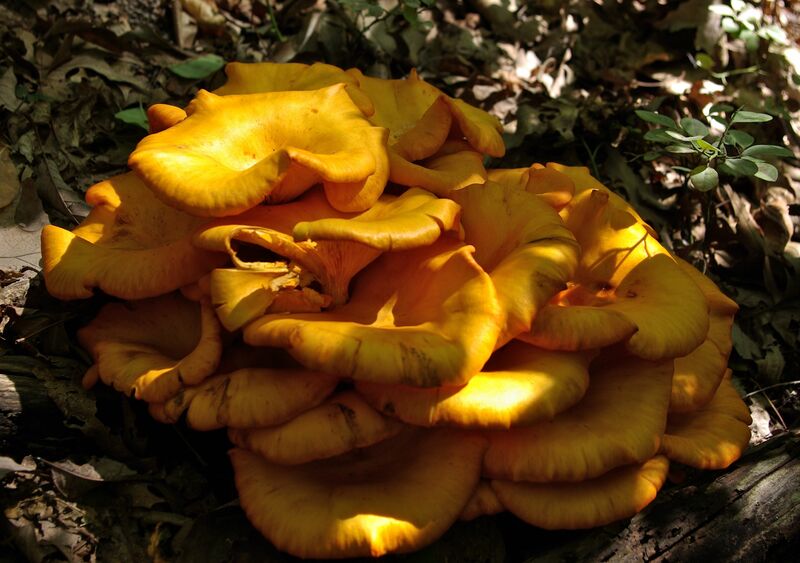 I love finding such a jewel in the woods! Ahem. But this post isn’t about my love affair with KEEN. 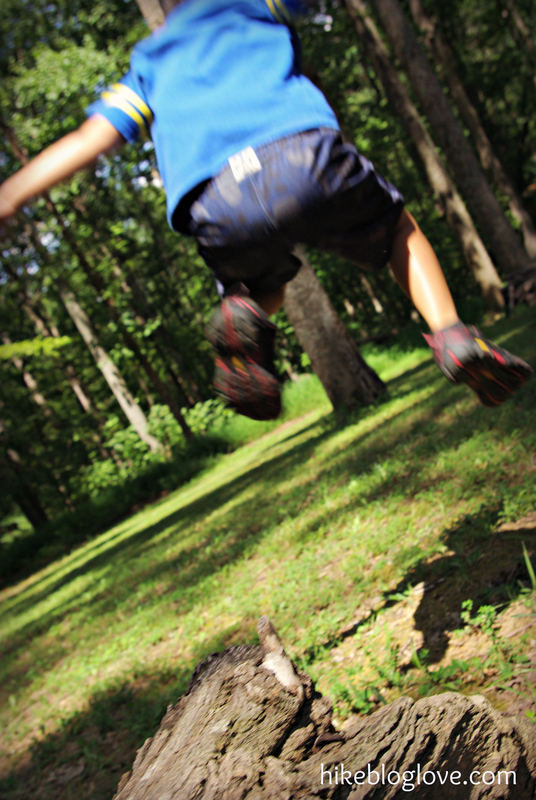 It’s about the very first pair of KEENs to grace the feet of my Little Man, otherwise known as my little wild nature lover. Who better to try these out than him! 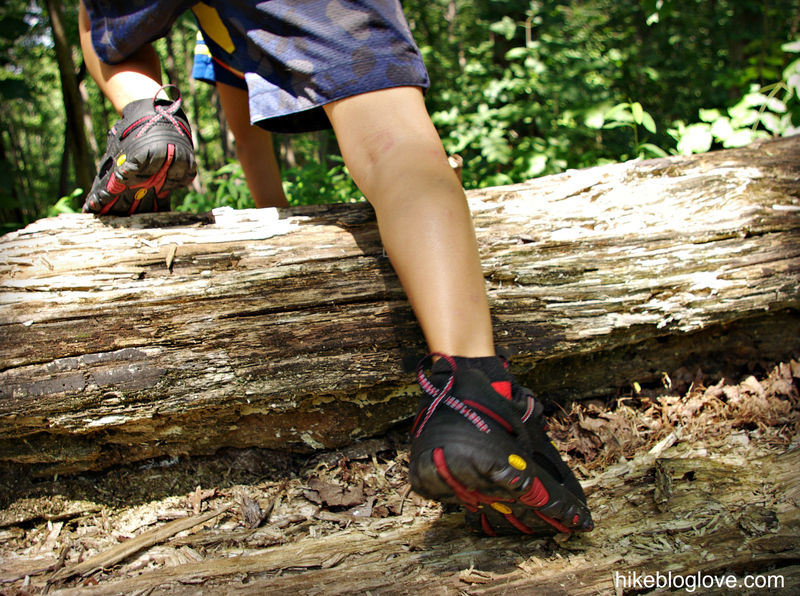 When KEEN contacted us and asked if we’d like to try out a pair of kid-sized KEENs, I grew giddy with excitement. It was perfect timing because a) school was about to begin and we were in need of some recess-ready shoes, b) I was recently just lusting after these shoes but unsure if we should purchase them, and c) Little Man was in dire need of some shoes that can keep up with his rough and tough lifestyle. If you haven’t noticed, we kind of enjoy the outdoors a little bit around here. But now I have a confession. 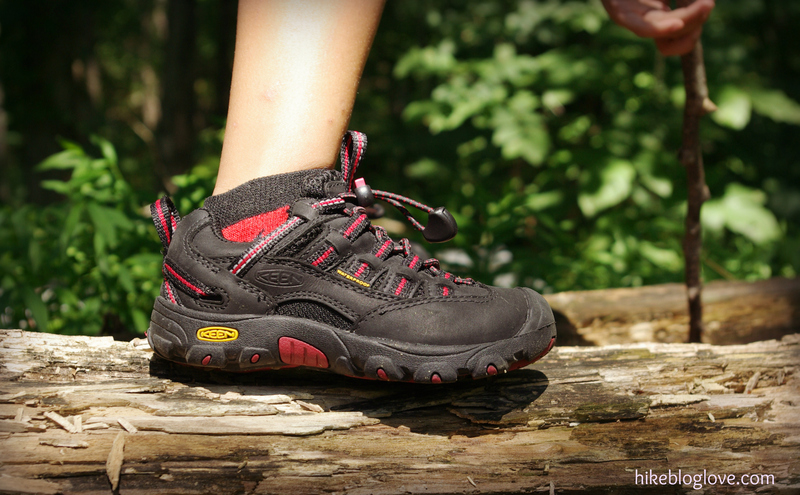 As much as I love my KEENs and as much as we spend time outdoors, I had never bought nice outdoor shoes for the kiddos. I know that sounds weird, but I used to rationalize that since their feet were growing so rapidly, we should just buy some inexpensive and lower quality shoes until they were a bit older. Well, I’m here to tell you that those days are over. 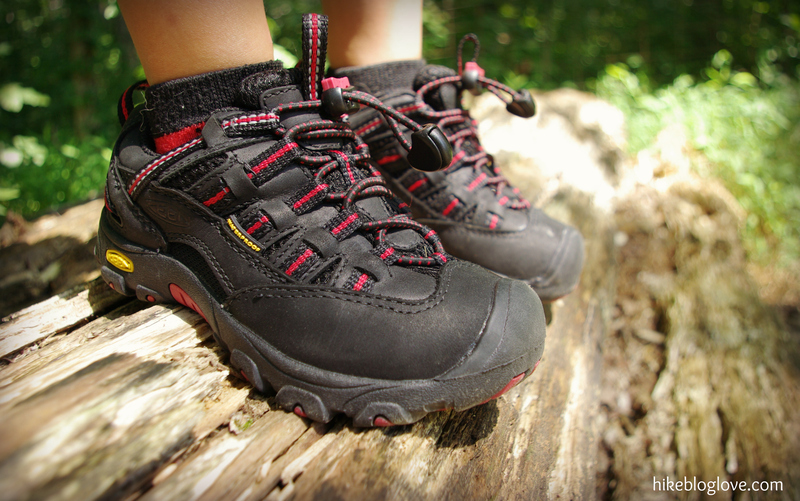 The difference between your average discount store tennis shoe and these kid-sized KEENs is night and day. What was I thinking?! As soon as I pulled these babies out of the box, I saw stars in Little Man’s eyes and even in my own. This boy was excited and I couldn’t get over how sturdy and rugged these shoes were. It’s like someone took my boots and shot them with a shrink-ray. In a word, they are awesome and I feel that they’re worth every penny, no matter your kid’s age. Little Man has been wearing them to school and they handle the playground well. 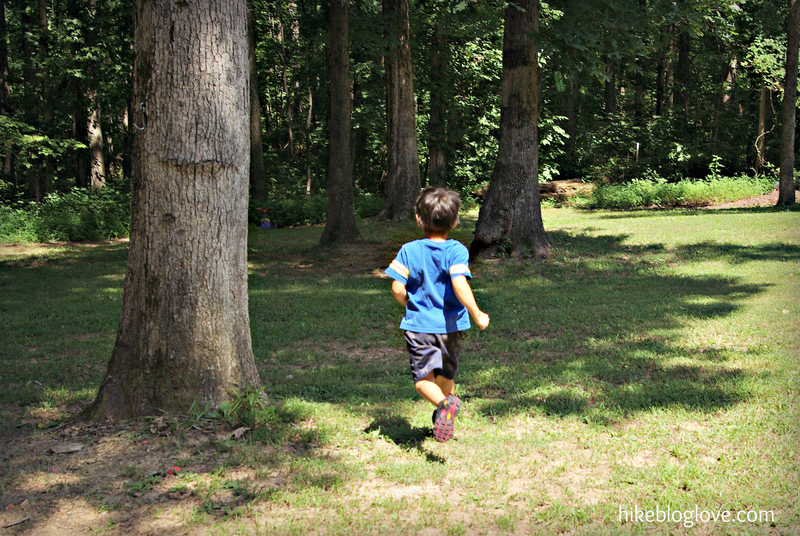 He says they are comfy, and I quote “I love my new shoes!” We took them for a spin out in the woods, just to make sure they could keep up. What else can I say, we love these shoes! KEEN kindly provided us a pair of the Alamosa WP shoes free of charge for us to review. All opinions expressed, however, are entirely and completely my own.